Find hikr.unoproj file inside the project root folder and add "Fuse.Views" to the "Packages" array. 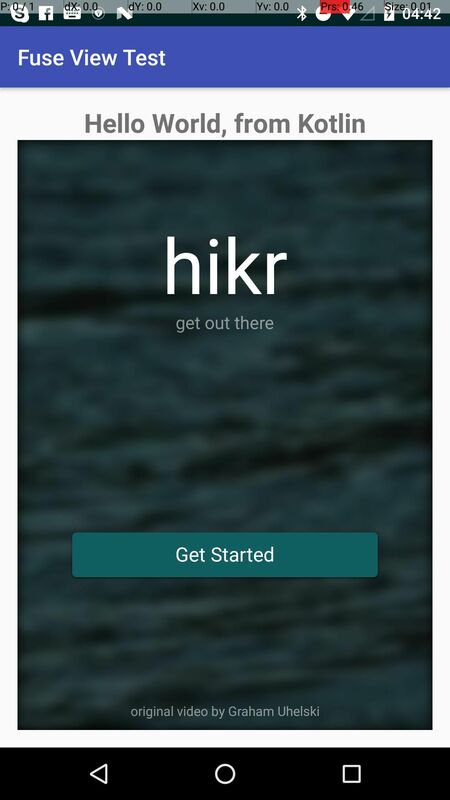 3.1 In the project root folder make a new file called HikrApp.ux and paste the contents of MainView.ux. Remember the template HikrAppView, because we’ll need it to get a reference to our view from Java. Error: Couldn’t find an App tag in any of the included UX files. Have you forgot to include the UX file that contains the app tag? android:text="THIS IS FROM NATIVE.\nBEHIND FUSE VIEW"
Note When you press the back button, on android, the app crashes. You can follow the issue on the fuse forum. And the final result is something like this. You can also find a short clip on github.